To my english readers. This blog is my personal blog, where I talk mainly about games, but not only. Most of the texts are in French, but you will find some articles in English. 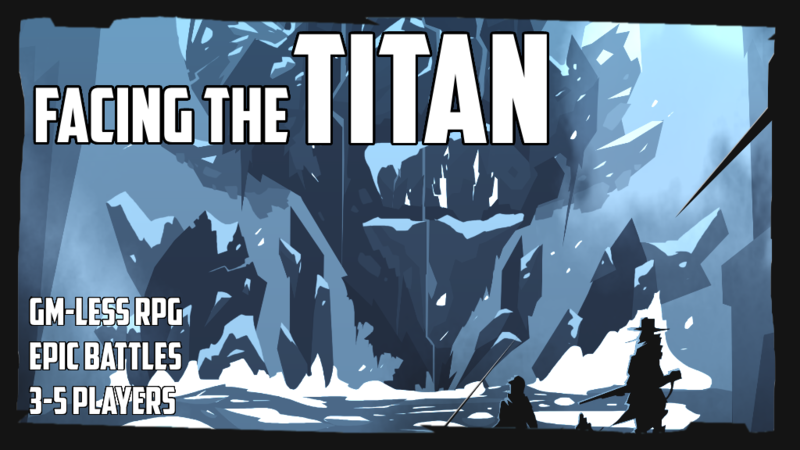 Everything about Facing the Titan is available in both English and French. Thank you for passing by! 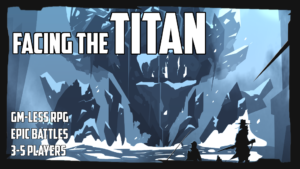 Facing the Titan is a GM-less roleplaying game I’m working on since summer 2018. 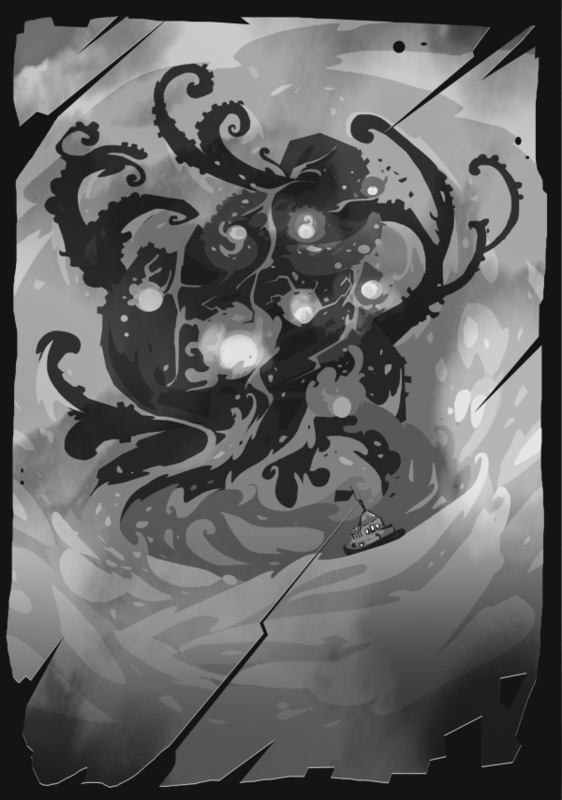 I decided to make it a complete RPG quite quickly, and therefore to have illustrations that would make the game more attractive. That’s why I decided to have this game funded on Kickstarter. The illustrations are all Roger Heal’s work. In Facing the Titan, you play the Companions. These heroes meet again after months or even years of separation. The time has come to confront the Titan. The Companions Phase lets you discover the characters you will play. The Titan Phase lets you discover the Titan, to improve its presentation. The World Phase lets you tell the story of the world through the journeys of the Companions. The Preparation Phase shows what each Companion has prepared for the upcoming battle. This role-playing game does not offer any tactical challenges or riddles to solve. It’s a game of imagination, of storytelling. There are no mechanisms for action resolution, as can be found in many RPGs. Instead, it proposes mechanisms that orient the story towards specific themes, as can be found in Fiasco or Swords Without Master. You can find all the articles dedicated to the game by following this link. If you are interested in the game, and would like to know more, feel free to contact me about one of these communities, or right here.